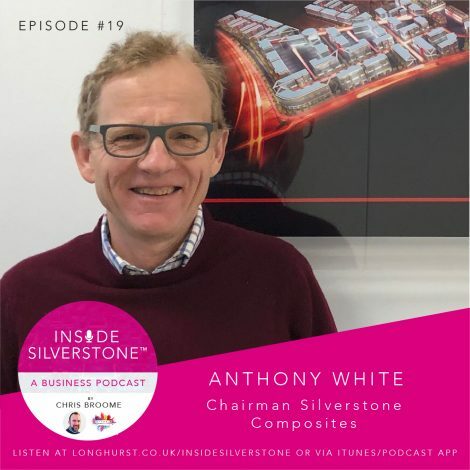 In episode #19 your host, Chris Broome, interviews Anthony White – Chairman Silverstone Composites. Listen as Anthony explains his career journey from the heavily regulated world of financial services, to the pioneering and innovative world of the Silverstone Technology Cluster. Anthony also discusses the importance of strategic partnerships; maintaining quality of service; and being brave enough to say no. Anthony closes the show with a funny story involving hangovers and being mindful what you say in ear-shot of others.